Warm up by a campfire of your hearth. Fatwood is hand split from the stump of the pine tree. As the tree matures, this natural resin moves downward, collecting in the stump. 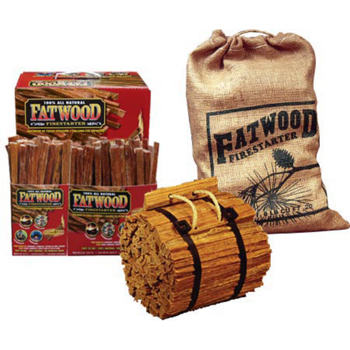 These stumps contain a concentration of natural resin that makes a roaring blaze in minutes with an aromatic pine scent. With this high concentration of natural resin, we don’t need to add chemicals or additives like so much of our competition.